With effect from June 1, 2018, Ashutosh Manohar is the new Managing Director of Tetra Pak South Asia Markets and will be based out of its head office in Gurgaon. 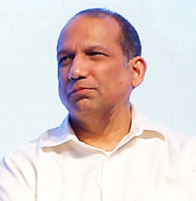 Ashutosh has held a variety of management and leadership positions at Tetra Pak over the last 16 years. In his last assignment, he was Vice President - Carton Value and Carton Economy in Italy. Ashutosh has also joined as the new director on the board of SCCI. Welcome, Ashutosh!